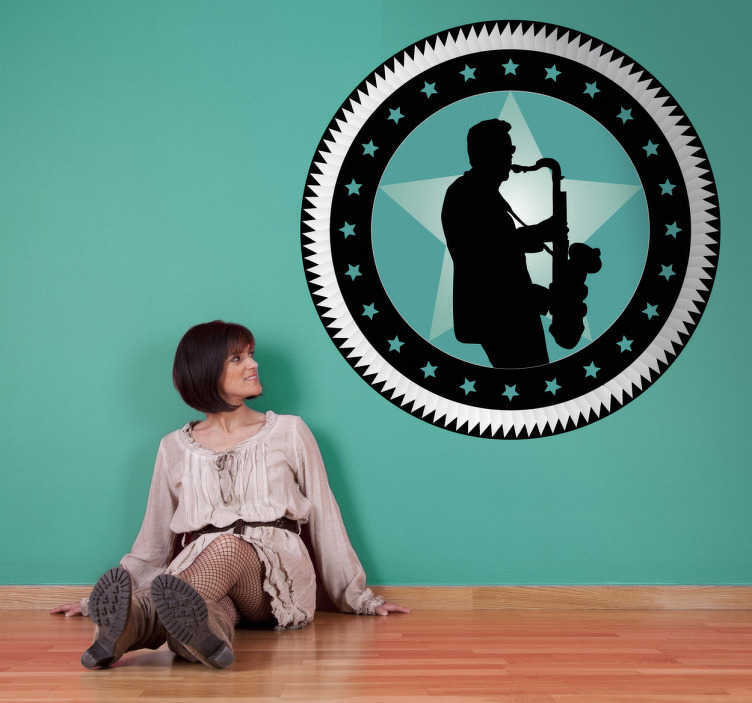 Decorative musical sticker of a saxophonist. A perfect wall decal to decorate your walls especially for those that love this instrument! An interesting silhouette to make your living room or any room at home look fantastic. Are you a big fan of the saxophone? Do you play the saxophone? Then this is the right sticker for you. A very unique and original decal to show your music taste to everyone. Choose the size that best fits the surface where you will place this sticker. It is very easy to apply and remove made with anti-bubble vinyl and leaves no residue when removed.